These Minors are designed to provide students with an understanding of how to conceptualize, develop, and manage successful new ventures - including for-profit companies, social enterprises, not-for-profit organizations, and cooperatives, as well as how to successfully champion intrapreneurship projects in larger organizations. Management courses cover management essentials and the key concepts of entrepreneurship including basic accounting, financing, organizational behavior, marketing, operations management, information technology, strategy, plus the basic processes involved in starting and managing a new venture. Faculty-specific courses allow students to further their knowledge in specific types of entrepreneurship, such as social, technological, music or agribusiness entrepreneurship. Students gain hands-on experience through an entrepreneurial project or internship. The programs are interdisciplinary and integrative. Many courses will include a diverse set of students from multiple McGill faculties. For further information, visit the following web pages or consult with your faculty’s student advising office. Most Management courses listed in the Entrepreneurship Minors have priority registration for students in the Minors in Entrepreneurship and reserved seating allocations by faculty. When the faculty’s allocation is full, students from that faculty will not be able to register until a place becomes available. Students in these Minors are not permitted to take the Desautels Minors in Management, Marketing, Finance or Operations Management (for Non-Management Students). 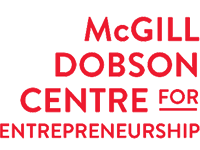 The McGill Dobson Centre for Entrepreneurship also offers awards and scholarships for students.